Mr. David Davis, President and CEO at Shared Health Services who partners with hospitals to open and manage outpatient wound care and hyperbaric oxygen therapy centers across the United States joins eHealth Radio and the Health Care and Health News Channels. How many chronic wounds are there in America? What types of wounds become chronic wounds? Where, and how, are chronic wounds treated? What are some of the diagnosis's that HBO is used to treat? How does Shared Health Services work with hospitals? 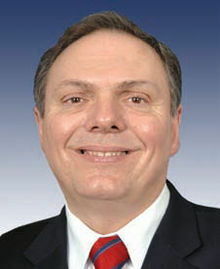 David Davis, BS, RRT, CHT is a former United States Congressman, Joint Commission Surveyor and healthcare entrepreneur. He holds a degree in Organizational Management from Milligan College, an A.S. in Respiratory Therapy from California College for the Health Sciences, and Certification in Respiratory Care from East Tennessee State University. During his 30 years in the health care industry, he managed several Respiratory Care Departments throughout the Southeastern U.S., started and managed a very successful multi-state home medical equipment company, Advanced Home Care, in 1986, served as a Joint Commission surveyor and founded Shared Health Services in 1996. Known as a leader in his local community and in his home state, he has served as a Leadership Council Member for the National Federation of Independent Business; as Chairman, Medicare Part B, Tennessee Association for Home Care; as Clinical Adjunct Faculty Member, Respiratory Care Department, East Tennessee State University; and as a member of the American Association for Respiratory Care. Shared Health Services is a wound care company who contracts with hospitals to help them open and manage successful outpatient wound care and hyperbaric oxygen centers. The mission of our Centers of Excellence is to heal chronic wounds, improve patient outcomes, help prevent limb loss and provide a profitable service for our contracted hospitals.